The iPhone 8 will not be called the iPhone 8 at all according to a couple of different sources around the internet. No, we know there has already been talk of the iPhone 8 being called the iPhone Edition. According to notorious leaker Evan Blass and Dutch website iCulture, the iPhone 8 / iPhone Edition will actually be called the iPhone X. 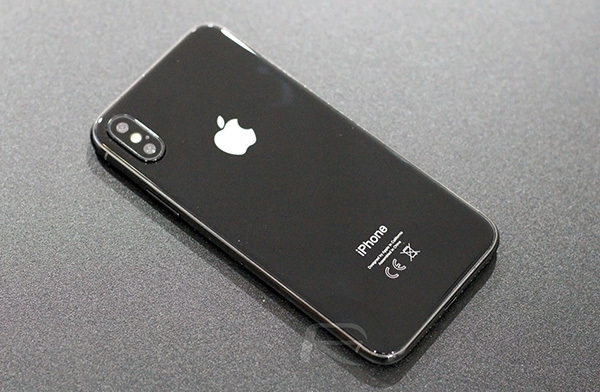 If that name sounds familiar, it is because it is one which was floating around a good long while ago, perhaps due to the X name being in relation to this being the tenth anniversary iPhone and we all know how Apple already likes to use the X in its product names to denote 10, don’t we? According to iCulture, the iPhone X will be the main flagship iPhone for 2017 with the iPhone 8 and iPhone 8 Plus being the names used for the lesser iPhone 7 refreshes that do somewhat run the risk of being forgotten about amidst all of the excitement surrounding the highest end offering. One of the biggest mysteries around the new iPhone is the naming. Is it the iPhone 8 or something else? iCulture found out the answer: From a reliable source, we have learned that Apple is calling the new device the iPhone X (“iPhone 10”). Evan Blass also took to Twitter to suggest he too has had the iPhone X name mentioned to him, along with a timescale of 9/15 for pre-orders, and 9/22 for a release date although the iPhone X, or whatever it is called, will likely be in extremely short supply if previous rumors turn out to be accurate. Apple tends to struggle to keep its iPhones in stock during launch weekends or indeed launch months, and the iPhone X is very unlikely to be any different despite that expected $1,000 asking price. Apple will announce all three of its new iPhones alongside a new Apple Watch and perhaps a new Apple TV during a media event which will take place at the newly built Steve Jobs Theater next week at Apple Park in Cupertino on September 12th. They can call it the good ship lollipop for all I care. I’ll be getting one.